It has been a few weeks since I've done the weekly journal - and I was SO good before! Rather than picking up where I left off, I'll just jump in with this past week. On Tuesday, I passed along a few tips for making your internet life a little easier. Have a look - it could save your life. Well, not really, but it's good advice! I've decided to incorporate padded iPad & eReader sleeves into a few of my handbags. 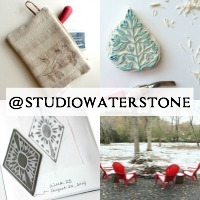 The two shown above are currently in the shop. 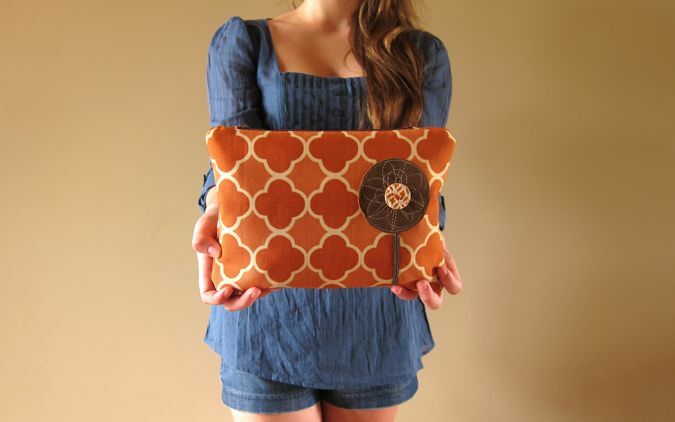 The last of my fantastic orange fabric. 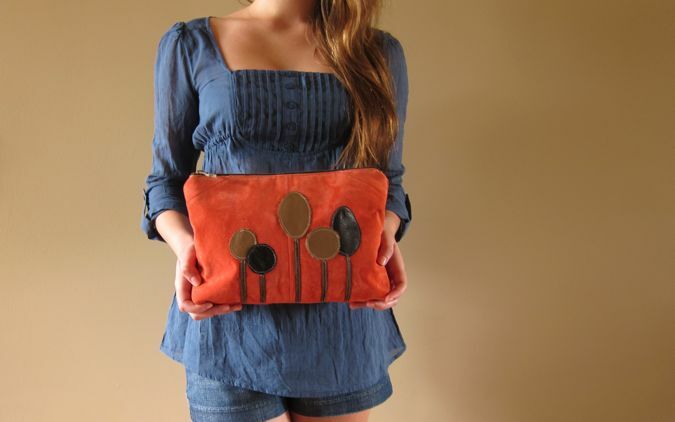 This clutch has a recycled leather flower centered with a gorgeous handmade ceramic button from Chinook Jewelry! It's in the shop as well. I love this. It's got the "painted with thread" flowers across the front using turquoise thread and colorful fabric. It's also got the iPad or eReader sleeve! And it's in the shop, too. That's my week. Now for the weekend. Mr. Waterstone told me last night that I should do what I want today and just have fun. I MAY break out the old canvas and paint, but that's a huge jump for me so we'll see. I'll thrift. I'll play and I'll be taking my MACRO pics for tomorrow! My week was good but too much to do! 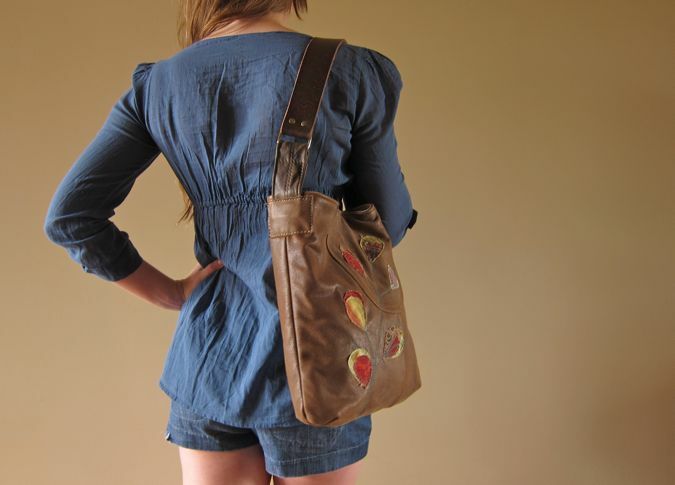 Lori your Bag with the painted with threads is so gorgeous. 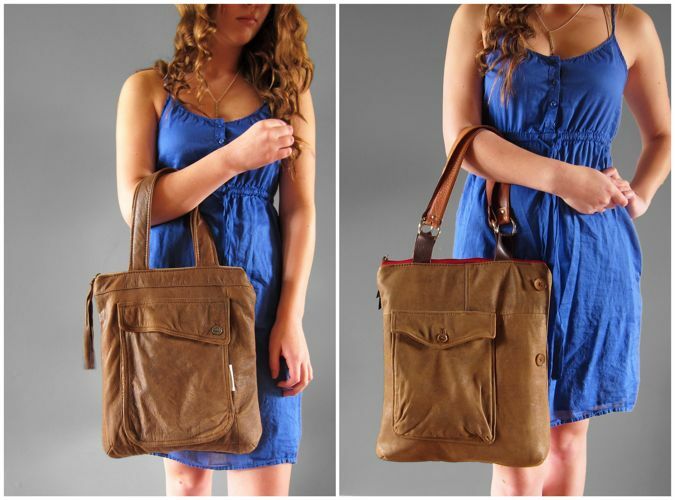 Your handbags are just Wonderful! Okay, I don't know which of these bags I like more...that orange one, though, with the cool fabric, might just be my fave. But only barely! Fingers and brain not in sync = typo central. Sorry!